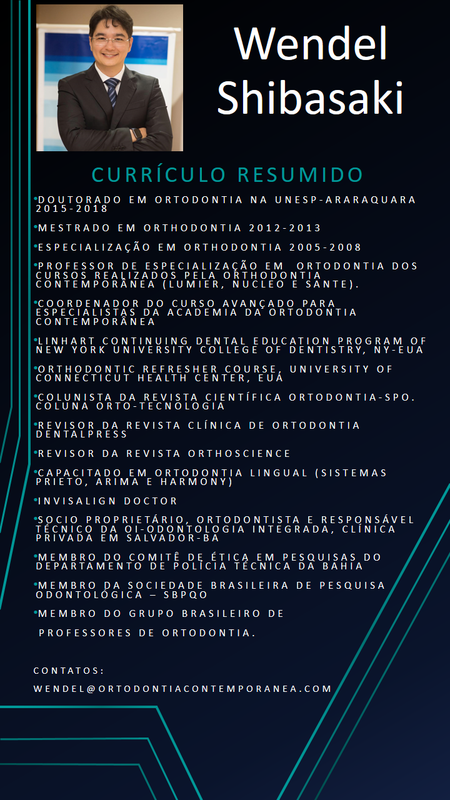 Marlos Loiola -The malocclusion of class II, is the most prevalent clinical condition according to several studies, in 2014 you as the Seminars in Orthodontics editor addressed this issue. Since the publication of the classic dental and sagittal classification, described by Professor Edward H. Angle in 1899. With the introduction of several diagnostic elements over time, new ways of seeing, classifying and treating this complex alteration of the maxillary mandibular relationship appeared in the three plans of space (sagittal, vertical and transverse). What are your observations about this condition? 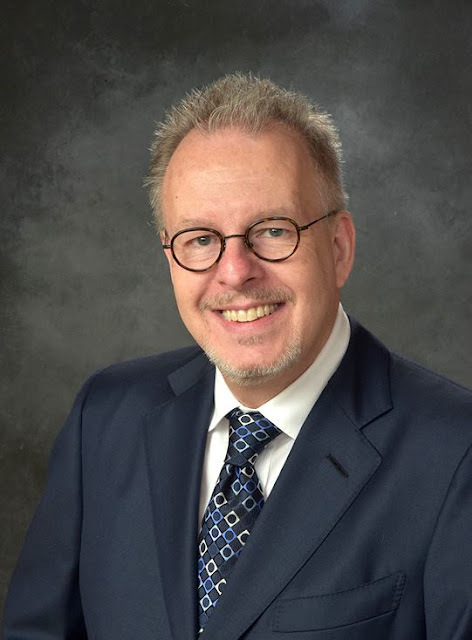 Prof. Jay Bowman - I was pleased to have been invited to be the Guest Editor for the December 2014 (Vol. 20, No. 4) issue of Seminars in Orthodontics that I titled, “All Roads Lead to Rome: New Directions for Class II.” I was permitted to invite my own collection of authors and the result was a very enlightening selection of articles on Class II. Proof that even after 100 years, we can learn a few new things although, it is important to note that the correction of Class II in the growing patient is still primarily due to the interruption of dentoalveolar compensation—not growing mandibles. 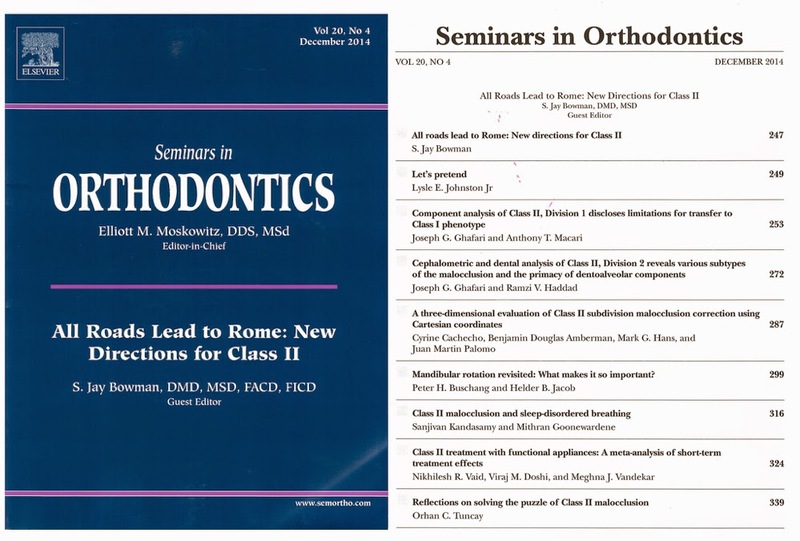 I so highly recommend an article in the March 2014 issue of Seminars in Orthodontics (Vol 20, No. 1) by Tsourakis and Johnston, Jr. entitled, “Class II Malocclusion: The Aftermath of a ‘Perfect Storm.’” The authors reported thatthe present data argue that the strategy of holding lower leeway space and “distalizing” the upper molars is a rational treatment strategy. Or in other words, the upper arch the right arch for attention and, in fact, the only arch. 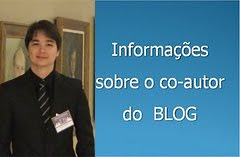 Marlos Loiola - As for the early treatments of class II. What is your position on the two-stage treatment? Stimulation of mandibular growth during the growth spurt is there? Correction of class II in hyperdivergents using expanders anchored in mini-implants palatine with vectors of vertical forces? Prof. Jay Bowman - Early treatment costs more, takes longer, and the results are not any better. That’s an evidence-based conclusion. 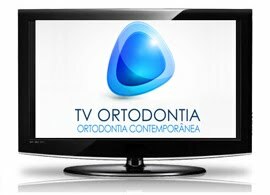 The majority of patients can be treated in a single-stage of treatment beginning at the late stage of mixed dentition. Any stimulation of mandibular growth (if one believes that happens at all) dissipates and is nonexistent in the long-term. In fact, in the long-term studies of the advocates of Herbst have shown there is nothing left and relapse of skeletal differences is prevalent. Remember, McNamara demonstrated no difference in mandibular response for patients that were treated with molar distalization versus fixed functional appliances. That is important to acknowledge despite pious hopes of jaw growers. This reiterates that the key to Class II correction is interrupting Beni Solow’s dentoalveolar compensation mechanism. In regards to correction of high-angle Class IIs, great care and caution are always necessary. 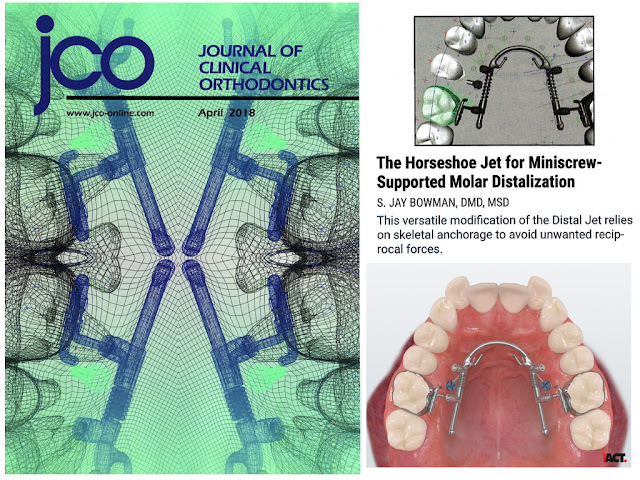 It is interesting to note that no significant differences in mandibular planes were noted for obtuse versus normal FMA’s when using the Distal Jet and especially the Horseshoe Jet distalizing appliances (molars are not extruded and can be intruded). 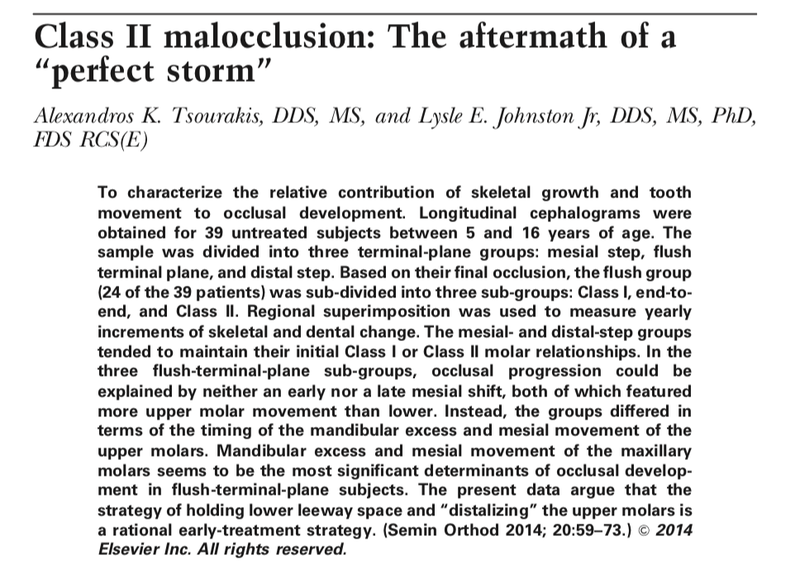 The intent of miniscrew supported TPA+was to better control maxillary molar vertical positions. As for miniscrew support expanders, I suspect that there will also be better vertical control as well. 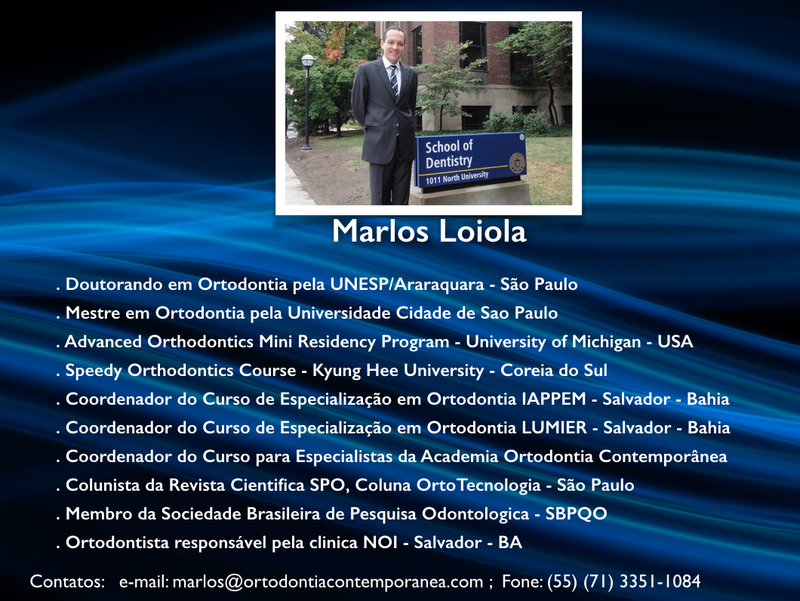 Marlos Loiola - What's the best solution correction of dental class II in adults ? 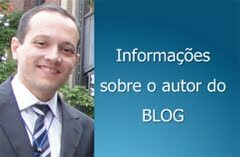 Before the introduction of mini implants into orthodontics, you have studied and published articles on the use of intraoral distalizers such as Distal Jet. Currently what is your clinical approach in these patients? Prof. Jay Bowman - The treatment of the non-growing Class II depends on many diagnostic factors. To simplify matters, those with substantial overjet, mandibular retrusion, and obtuse naso-labial angles would likely require an orthognathic surgical referral. Those that refuse surgery may require the removal of maxillary premolars (1stor 2ndwith a TPA+for anchorage) to reduce their overjet. We know that the lip response is not completely predictable and yet, the esthetic change is often still seen as quite positive. Now for those patients in the middle of the road, some type of molar distalization with miniscrew support may be attempted. Finally, the use of miniscrew supported Carriere, even with Invisalign follow-up is possible.